The risk of letting clients DIY their financial plan could be detrimental. The consequences of a single bad financial decision can be catastrophic, often changing someone’s quality of life for the worse over the long term. As a financial advisor, it is your duty to use your expertise to help individuals avoid these mistakes. 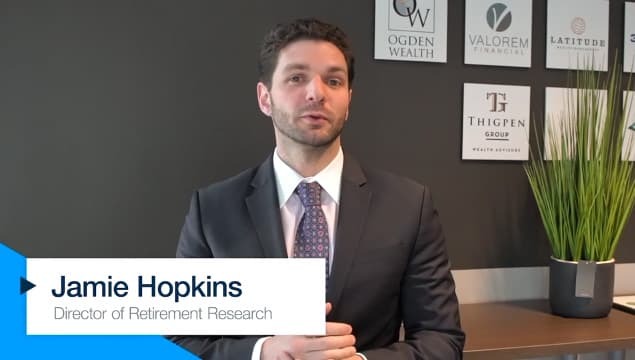 It’s your job to both minimize the risk of such life-altering events and take the guesswork out of planning for your clients’ financial future. Many individuals view independence as an admirable trait. This do-it-yourself mindset can save a lot of money in some areas of life. But when it comes to financial planning, nothing is as valuable as a professional advisor’s expertise and services. This is something you must communicate to clients and prospects alike. When it comes to personal finance, DIY planning tends to get people in trouble. Regardless of age, gender, income, education or other demographic factors, a single commonality connects everyone who tries to handle their own financial planning – there are no do-overs. Therefore, your first duty is to communicate why you are needed before you can begin to provide your services. Here are the three most important concepts to emphasize to those who may be skeptical about their need for a financial advisor. Part of what financial advisors bring to the table is simple: experience. During the course of your career, you have likely dealt with a vast spectrum of situations that have left you better prepared to handle any curveballs life may throw. Thanks to this plethora of experience, you are able to help individuals adapt to changing financial times. You are able to properly advise them on how to modify the way that they manage their money throughout any number of changes in their financial lives, such as a raise, a pay cut, marriage, recession, skyrocketing interest rates, children, paying for college, etc. In addition, you will have valuable context on how to help clients handle situations that arise unexpectedly. There is a level of being able to keep your emotions in check and discipline your decisions when making financial decisions for your own future, let alone someone else’s. According to a survey done by Natixis Global Asset Management, 65 percent of investors said they struggle to avoid making emotional decisions about their money during market shock. Another crucial element that you offer is your ability to analyze each factor in the context of your client’s entire financial situation. No YouTube tutorial can teach how to balance the multitude of factors you are confronted with to arrive at the best long-term strategy. Only someone who has a special relationship with a client and who knows their specific wants, needs and goals can help them reach financial success. An important aspect of your job is to monitor clients' behavioral tendencies and openly communicate with clients when their emotions are undercutting their success. An objective eye is crucial in proper financial planning. But your technical skillset and abilities are not the most important assets you bring to the table. You must demonstrate that your mediating presence can align actions more closely with the best risk-adjusted strategy for your client. Your most compelling selling point remains the fact that money mistakes are often irreversible. Particularly in the world of retirement planning, a bad decision can erase years of savings in an instant. Financial missteps are often tied to emotions. Ask your clients and prospects this: Are you really sure you can stomach seeing a 50 percent paper loss in an asset’s value? Will you be able to stay the course, or are you likely to panic-sell at the bottom of the market even though you know better? The stock market is in its tenth consecutive year of the current bull run, and patient investors have been handsomely rewarded. A single move can make the difference between a comfortable retirement or never being able to quit work. It’s your duty to share this with your clients so they can have the best possible retirement. Independence and that DIY mentality are both admirable traits, but some things in life are just too important to leave to chance. It’s your duty to drive that point home to your clients and prospects, and display the value you bring to them. Matt Eilers is the coaching and consulting vice president and joined the USA Financial team in 2008. He focuses on independent advisory practice coaching and consulting. Matt may be contacted at matt.eilers@innfeedback.com.